The Civic Underground is undoubtedly the classiest basement club in Sydney. This reputation is further reinforced through their latest upgrade – extra speakers and subs – that gives full appreciation to the esoteric art of great sound. Reckless Republic, Mantra Collective and Cause are taking over the bunker this summer. 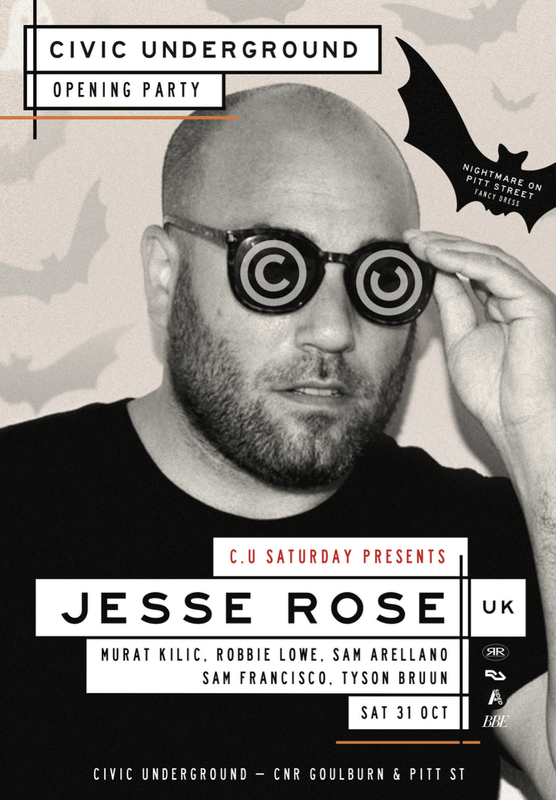 Our residents Murat Kilic, Robbie Lowe, Michelle Owen, Mike Witcombe, Ant J Steep and Phil Smart will be hosting top underground Dj’s from around the world, starting with Jesse Rose, Mr. C, Rodriguez Jnr and Margaret Dyga.